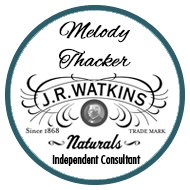 Wow, Watkins has some really fantastic Buy One Get One specials for you! These great deals are only available for a limited time so grab them right away! Note for each product you add to your shopping cart, you’ll be offered the second one for the special price during the check out process. These special deals are only available when you order online! BOGO—Two Days ONLY, June 29th & June 30th, 2012! This is an adorable collection of some of our best-selling apothecary items, A Few of Our Favorite Things is perfect for sampling, traveling, or gift-giving! US Customers $9.99 Order one A Few of our Favorite Things, get second for $3.99! Canadian customers $10.99 order one A Few of our Favorite Things, get second for $4.99! Perfect for tucking in your suitcase when you pack for your summer vacation or weekend get away! Relax and recharge with our Lavender Essentials travel kit. Widely used in aromatherapy applications, lavender oil is well-known for its calming properties. US customers $13.99 order one Lavender Essentials, get second for $3.99! Canadian customers $18.99 order one Lavender Essentials, get second for $4.99! This Special BOGO offer is extended through July 4th! 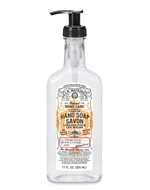 US Customers ONLY $4.99 order one Orange Citrus Liquid Hand Soap, get second $0.99! WOW! Orange Citrus Liquid Dish Soap Two Days ONLY, June 29th & June 30th, 2012! 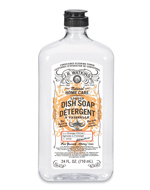 Canadian customers ONLY $5.99 order one Orange Citrus Liquid Dish Soap, get second $1.49! WOW!